Donald Trump’s order to withdraw US forces came after he went off-script in a December 14 phone call with Turkish President Recep Tayyip Erdoğan, according to two US officials and a Turkish official. 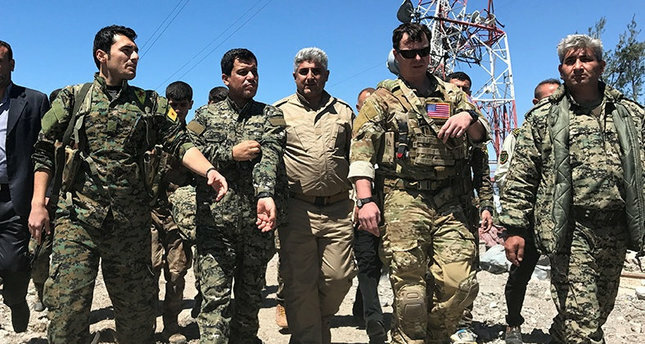 One of the American officials said Trump was supposed to tell Erdoğan to stop threatening an offensive against US-supported Kurdish militia in northern Syria. The notes were prepared by Secretary of State Mike Pompeo, Secretary of Defense Jim Mattis, and other members of the national security team. But Trump, who had previously followed the guidance, abandoned the notes. Erdoğan seized the opening and put Trump on the defensive, saying that Trump had repeatedly declared the only reason for US troops in Syria was to defeat the Islamic State but that the group had been 99% vanquished. “Why are you still there?” Erdoğan asked. As the Turkish President waited, Trump asked National Security Adviser John Bolton if Erdoğan was correct. Bolton was forced to mention statements by high-level US officials that supported the point, although he added that the national security team agreed that victory over ISIS had to be enduring. Trump then pledged to withdraw US forces. Erdoğan was so surprised that he cautioned Trump against a hasty withdrawal because Turkey did not have the forces to move in and hold large parts of the Kurdish-controlled territory that makes up one-third of Syria. The call ended with Trump repeating that the US would depart, but offering no specifics. President Recep Tayyip Erdoğan has said that Turkey is postponing its cross-border offensive into Kurdish-controlled areas in northeast Syria. The US will likely end its 3-year air campaign against the Islamic State in Syria. Four American officials put out the message on Thursday, a day after Donald Trump ordered the withdrawal of all US military personnel from the country. One did issue the caveat that a final decision has not been made and some support for allies might continue. The US created the Kurdish-led Syrian Democratic Forces in autumn 2015 to push back the Islamic State in northern and eastern Syria. The campaign has reduced ISIS to an area near the Iraqi border ,which has been under attack by the SDF. But Turkey is threatening an offensive against the Kurdish militia YPG, the leading group in the SDF. Ankara has begun shelling YPG positions, with President Recep Tayyip Erdoğan promising the “erasure of terrorists”. The Assad regime has said it will regain control of Kurdish areas, about one-third of Syria. Trump continued to defend the decision on Thursday as Defense Secretary Jim Mattis quit, reportedly because Trump defied his advice as well as that of other military and civilian officials. Leading US legislators, both Republican and Democrat, have called on the Administration to reverse course. The UK, France, and Germany have objected to the US withdrawal, challenging Trump’s false declaration that ISIS has been defeated. The French said they would maintain about 1,100 troops near and in Syria. But Trump, having announced the withdrawal via Twitter, persisted yesterday in a series of contradictory tweets. Having said that the Islamic State had been vanquished, Trump said other countries should fight ISIS in its remaining territory inside Syria. He lied that Russia and Iran, as well as their ally the Assad regime — all of whom have campaigned for US withdrawal in a months-long propaganda effort — were upset. So hard to believe that Lindsey Graham would be against saving soldier lives & billions of $$$. Why are we fighting for our enemy, Syria, by staying & killing ISIS for them, Russia, Iran & other locals? PreviousEA on Monocle 24: Can Baseball Bring US-Cuba Detente? NextEA on TRT World, RFI, Radio FM4, and BBC: Mattis Gives Up on Trump — A Breaking Point in US Foreign Policy?